Need inspiration for a romantic end to your evening meal? Then look no further. 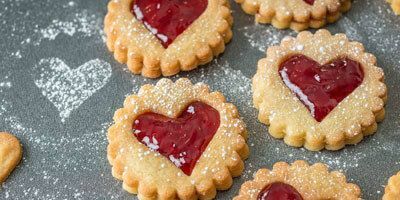 From cupcakes and cheesecakes to heart-shaped biscuits - we’ve got a variety of bakes for your beloved. Not much says “I love you” more than home-baked goodies! Whether you’re looking for an edible present, a sweet surprise or a special ending for dinner - one of our scrumptious desserts is sure to impress. These quick and simple recipes are a delight to eat and mean less time in the kitchen and more time romancing. Strawberries are a classic end to any Valentine’s meal. 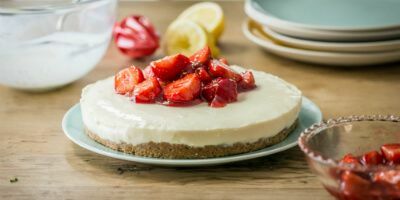 But they’re even more delicious piled high on top of cool, creamy cheesecake! Wow your loved one and present this showstopper by candlelight for a pudding they’re sure to remember. From mixing bowl to fridge in just 20 minutes, this is a speedy no bake dessert. Hearts will melt at the sight of this amorous pud. 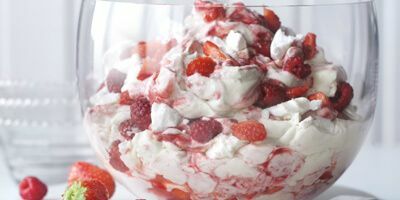 Layers of sharp lemony cream, sweet crunchy meringue and juicy berries will win the affections of any admirer. Why not try this today? 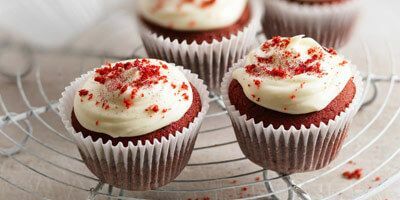 Who wouldn’t fall for these bright little cakes? Luscious cream cheese frosting and sumptuous chocolate cake are a winning combination. For a whimsical finish, why not sprinkle some red glitter over the top? These cute sweethearts make beautiful edible presents or a great afternoon Valentine’s treat. The sweet sticky jam squished between crumbly vanilla biscuits is seriously yummy. You’re sure to fall in love! Looking for an impressive but easy pudding? 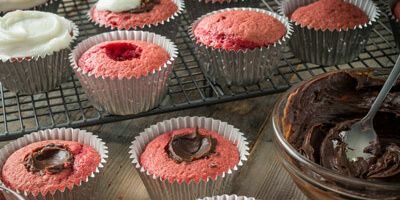 These pink truffle cakes are just what you need! It takes just six easy steps to cook a tray of these tasty treats. Why not try these out tonight?